Following the acquittal on 16 December of the G4S guards charged with the manslaughter of Jimmy Mubenga, barrister Frances Webber, chair of the Institute of Race Relations, focuses on the judge’s decision to rule inadmissible evidence pointing to endemic racism within G4S. After the acquittal of the guards charged with Jimmy Mubenga’s manslaughter, the judge told the jurors not to be concerned if they later read about evidence excluded from the trial. What should we make of this advice? On 16 December three G4S guards were acquitted of the manslaughter of Jimmy Mubenga, who died on 12 October 2010 under restraint on a plane during his deportation to Angola. Terrence Hughes, Colin Kaler and Stuart Tribelnig had been on trial at the Old Bailey for manslaughter by gross negligence, on the basis that they disregarded their duty of care by keeping Mubenga in a compressed position in his seat for over half an hour, ignoring his cries that he could not breathe. Should we be surprised at the verdicts? No. In all the dozens of deaths in custody involving undue force researched by the IRR over the last twenty-five years, no one has ever been convicted of homicide. And where an inquest jury, after seeing and hearing incontrovertible evidence, has brought in a verdict of unlawful killing (which has happened at least nine times), heaven and earth are moved to reverse the verdict and/or to ensure that the CPS does not bring a prosecution of those involved. On this occasion, following the inquest verdict of unlawful killing, the CPS did decide to prosecute the three men, in a reversal of its previous position that there was ‘insufficient evidence’ to prosecute anyone involved – the CPS’ default position when it comes to deaths in custody. 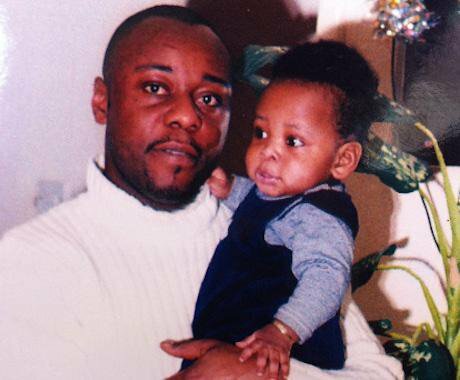 Jimmy Mubenga died in an aircraft seat, surrounded by passengers on a British Airways plane. The prosecution case was that, handcuffed behind his back and with his head pushed down for over half an hour, Mubenga was held in a position which impeded his breathing. The guards denied pushing him down, and claimed that he put himself into that position, bent over in his seat. Passengers heard him calling out in distress, crying for help, saying ‘I can’t breathe’. The guards denied hearing any such cries. Three eminent medical specialists agreed at the inquest that the cause of death was cardio-respiratory failure caused by restraint. The inquest jury were directed by the coroner that they had to be sure ‘beyond reasonable doubt’ before bringing in a verdict of unlawful killing. Given the very high standard of proof needed to sustain an unlawful killing verdict – the same standard of proof needed to bring in guilty verdicts at trial – the failure of the prosecution, highlighting as it does the disparity between the conclusions of the two juries and leaving no one accountable for Mubenga’s death, cannot but bring the justice system into disrepute. The inquest conclusions, the medical evidence, the sheer length of time he was restrained – all were indications that a prosecution could succeed. To some, it looked like an open and shut case. But the prosecution was pursued without zeal, and was stymied by a decision of the judge to exclude significant evidence which the men’s lawyers deemed prejudicial. Following the acquittal, the judge told the jury that they were not to be concerned if they later read about material that was ruled inadmissible at the trial. At the very beginning of the trial, reporting restrictions had been imposed which prevented any media reporting of the unlawful killing verdict, the coroner’s report or the virulently racist tweets and other evidence of racism on the part of the security guards, pending legal argument as to whether the jury could be allowed to hear this evidence or not. Later in the trial, the judge ruled that the jury should not hear any of this evidence. Hearing about the huge volume of horrible racist tweets and jokes received and re-sent by Terrence Hughes, and the small number by Tribelnig (none were on Kaler’s phone), would, defence lawyers argued, ‘release an unpredictable cloud of prejudice’ in the jury, preventing a fair trial. The judge acceded to the argument – so the jury reached its verdict in ignorance both of the previous jury’s conclusions and of the evidence of racist attitudes held by one or more of the men tasked with restraining Mubenga on the plane. The law allows evidence of ‘reprehensible conduct’ to be admitted in a criminal trial if it is important explanatory evidence which helps the jury understand the evidence as a whole. The judge agreed that the racist messages were reprehensible, but rejected the prosecutor’s argument that they were relevant to the facts or would help the jury understand what had happened. The defence argued that since there was also homophobia, misogyny and anti-Liverpudlian prejudice mixed in with the racism, they might offend any gays or women or Liverpudlians on the jury and prevent them from reaching a fair verdict. "[T]he possibility that such racism might find reflection in race-based antipathy towards detainees and deportees and that in turn might manifest itself in inappropriate treatment of them. As it was put by one witness, the potential impact on detainees of a racist culture is that detainees and deportees are not “personalised”.This may, self-evidently, result in a lack of empathy and respect for their dignity and humanity potentially putting their safety at risk, especially if force is used against them." The judge’s decision to exclude the evidence ignored this insight (and of course the jury were not permitted to see this report). Although he accepted that the racist messages were ‘reprehensible conduct’ which would allow admission of the evidence, his decision was to prevent the jury from contextualising or properly weighing the evidence the guards gave of their respectful, professional treatment of Mubenga. It contrasted sharply with the decision of the judge in the Stephen Lawrence case to admit evidence of Gary Dobson and Steven Norris’ racist attitudes, as evidenced in covert surveillance material. Of course, in the Lawrence case, given the length of time the family had fought for justice, which had been so manifestly denied for so many years, it was imperative for the prosecution to succeed from the point of view of the prosecutor; the case had attained such a high profile as to have become a litmus test for the capacity of the legal system to deliver justice for a victim of a racist attack. No such imperative existed in this case, which from the point of view of the authorities concerned an attempted lawful deportation. Not only was this action carried out on behalf of the state, albeit by private contractors, it was also clearly (from the official point of view) in the public interest – despite Mubenga’s seventeen years in the UK and his five children born here. Mubenga was a foreign national offender, convicted of an assault in a club – someone as far down the social pecking order as it is possible to be. For it is not just racist tweets which dehumanise: foreign national offenders are a group perhaps more demonised than any other by politicians and media. This context of official action stacked the odds further against a successful prosecution. For, from the prosecutorial perspective, the fact of a prosecution was enough to ward off accusations of institutional injustice; it was unnecessary for such a prosecution to succeed. The exclusion of relevant evidence meant that the case actually lacked part of its context, and the defence suggestions that Mubenga was indeed too big, strong and vociferous and helped to bring about his own demise, won the day. And although the guards denied any unlawful or dangerous restraint, the sub-text was that if they did do anything untoward it was because of a lack of training and therefore outside of their individual culpability. Support for the suggestion of institutional – or rather corporate – culpability came in early 2011, when G4S whistle-blowers told the parliamentary Home Affairs Committee that concerns had been raised with senior management over the use of dangerous restraints on deportees several times before the death – in particular over the practice of forcing a detainee’s head down, known as ‘carpet karaoke’, implicated in Mubenga’s death. After hearing evidence from G4S and Home Office officials, the committee concluded that it was ‘not at all convinced’ that contractors were providing adequate training or supervision to avoid excessive force or dangerous restraint methods. But no charges were brought against G4S, the guards’ employer, either under corporate manslaughter or health and safety legislation – so Mrs Mubenga and the couple’s five children end up with no justice, and no peace. This piece first appeared at the Institute of Race Relations, here. Could Jimmy Mubenga’s death have been prevented?